People for the Ethical Treatment of Animals, or PETA, is trying to force the university to turn over footage of monkeys from the lab of Elinor Sullivan, an assistant professor at OHSU’s primate center in Beaverton. Sullivan’s research is focused on the impact of maternal nutrition on offspring, according to OHSU’s website. The suit stems from a November 2017 public records request made by PETA. The group asked OHSU for footage of experiments on monkeys that were carried out in Sullivan’s lab between Jan. 1, 2014 through Nov. 6, 2017 in connection with two grants from the National Institutes of Health, the suit says. The experiments were with mothers and their offspring and involved monkeys hurting themselves, the suit claims. In May, 2018, OHSU denied the request, citing a provision in Oregon’s public records law that excludes records from educational institutions related to unpublished research. This past February PETA appealed, taking its case to the Multnomah County District Attorney’s office. PETA argued that the provision didn’t apply in this case because OHSU had published five studies from the experiments. “That’s how we knew about the existence of these tapes,” said Jeremy Beckham, a researcher in PETA’s investigations section. The district attorney backed OHSU, so PETA filed the suit in Multnomah County Circuit Court on Wednesday. OHSU said in a statement that it’s reviewing the complaint. “We have no comment at this time,” it said. This is the second such suit that PETA has filed against a primate center this year. In January, it sued the University of California at Davis after the institution denied its request for video footage of monkey experiments that involved separating baby monkeys from their mothers. He said it’s become increasingly common for PETA to sue primate centers for public records. In 2011, OHSU did not fight a public records request from PETA for footage of experiments involving monkey responses to Mr. Potato Head, he said. “They actually gave up the footage of the Mr. Potato Head experiment without us needing to sue them,” Beckham said. OHSU is among seven federally funded primate centers in the United States. It is home to about 5,000 animals that are used for research on various diseases, drug development, mental states or, in this case, diet. PETA claims that OHSU is one of the worst primate centers in terms of its treatment of the animals. “Since the beginning of 2017, OHSU has received 12 documented violations of the federal Animal Welfare Act, including six ‘critical’ violations, more than any other university in the United States,” the suit says. The lawsuit says that 16 monkeys have died or had to be euthanized after fights or problems with their cages and that more than 20 have been hospitalized for injuries. 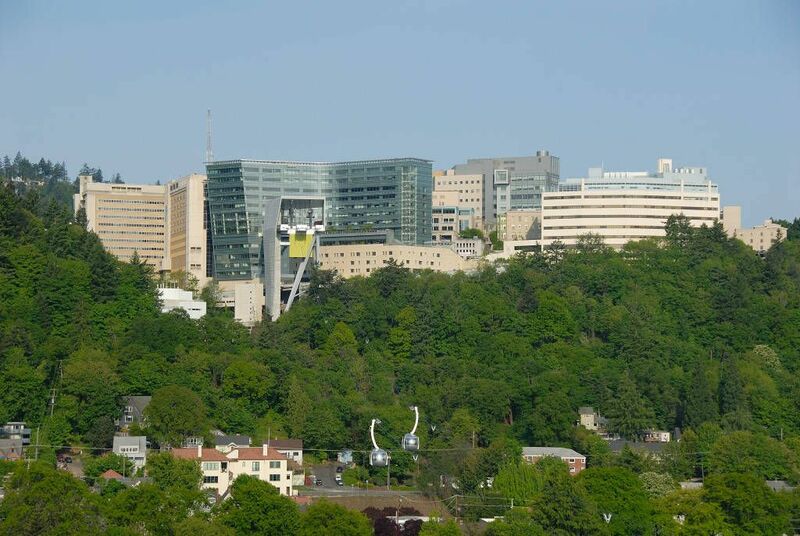 According to the lawsuit, OHSU’s primate center received more than $218 million in National Institutes of Health grants in 2017. The suit seeks more than 260 videos from two national grants that totaled nearly $12 million. Despite the district attorney’s ruling in OHSU’s favor, Beckham said PETA is optimistic about winning this suit. He said the ruling was based on an affidavit from OHSU that the district attorney took at its word. If the suit moves forward, the university will have to share records that PETA hopes will back up its case. “We’re hopeful that the facts will be more in our favor,” Beckham said. Taxpayers have a right to know what their money is funding at OHSU. The school's attempt to keep this footage private suggests that something very ugly is being done to monkeys in its laboratories. It would be no surprise, in light of OHSU's laundry list of Animal Welfare Act violations. OHSU should be relying on cutting-edge technology to generate accurate test results that can actually be applied to humans, not abusing animals. Furthermore, by not releasing the videos, OHSU admits its guilt.